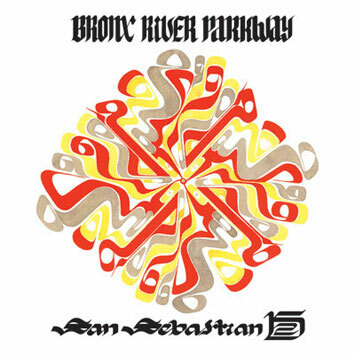 Bronx River Parkway was intially formed in 2001 when they released the 45 single "Quines Que resolverlo" on the Latin Express imprint of Soul Fire records. A couple years later they released there second single "deixa Pra La" on Truth & Soul, the label they currently record for. Recently, in February of 2006, Pablo Rodgriguez of candela records, brought BRP down to Puerto Rico to cut a record with the help of some legenday musicians that make their home in PR. Original members Leon Michels, Quincy Bright, Jeff Silverman, and Nick Movshon were joined by Sammy Ayala, Tito Cruz, Pupi Rodriguez, and Local 12 among others to make a landmark modern Latin Soul record which has sparked a new interest in both the band memebers and their fans. Now residing in New York, the band has expanded to include a solid core group of 8 musicians fronted by the legendary Sammy Ayala. How’s it going? My company does marketing & publicity for Bronx River Parkway. Thanks for posting about St. Sebastian 152. I’d like to know what email address I can send press releases, videos and mp3s to for artists that would be a good fit for your site. If there’s anything there you’re interested in, let me know and I can send you a cd.